Yes, the sun, the beaches, the sea. But there’s more to Sicily than that. Just as the millions of tourists that choose Sicily for their summer holidays know. And just as the Sicilians themselves know even better, because Sicily is a land of beauty and diversity, in its landscapes, panoramas and opportunities. We have selected for you 10 must-see places during your Sicilian stay. A complete tour of the true wonders of Sicily. The list of the locations moves clockwise around the island, so from wherever you start, just continue to follow the numbers and an extraordinary holiday awaits you, one which will be both adventurous and relaxing! Get away from the stresses of work and be lulled by the slow rhythms of island life. 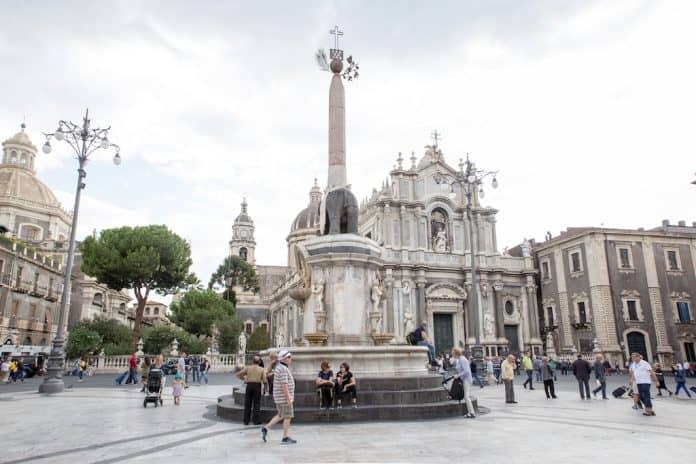 Catania is the biggest and busiest city in Eastern Sicily. 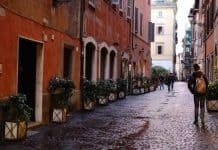 It’s also one of the most romantic cities in Italy. 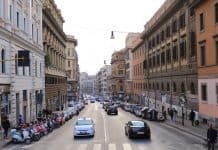 From the Vincenzo Bellini Airport head to the city centre (there is also a direct bus service) and take a relaxing stroll down via Etnea, the main shopping street. 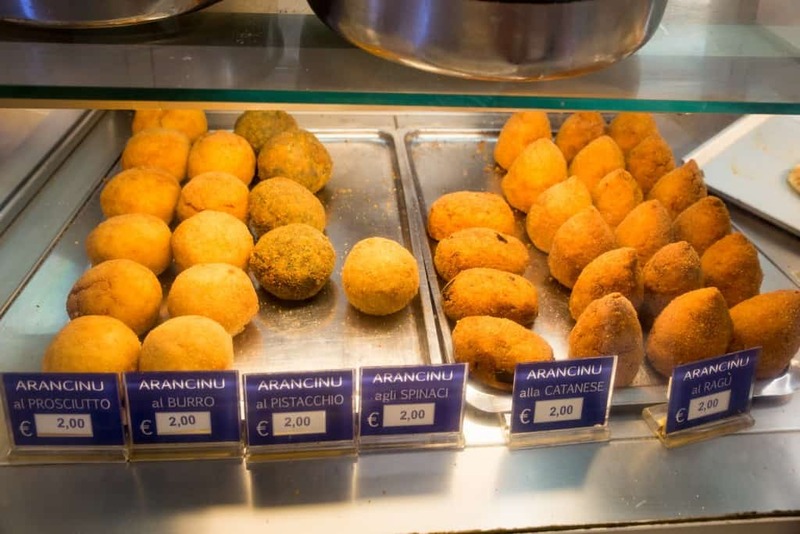 Buy an arancino from Savia, in front of Villa Bellini and then taste a Scardaci granita. And don’t worry about the diet: in Sicily you can forget about that. 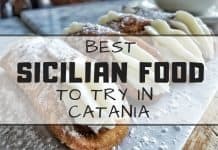 Arancino is a must try in Sicily! 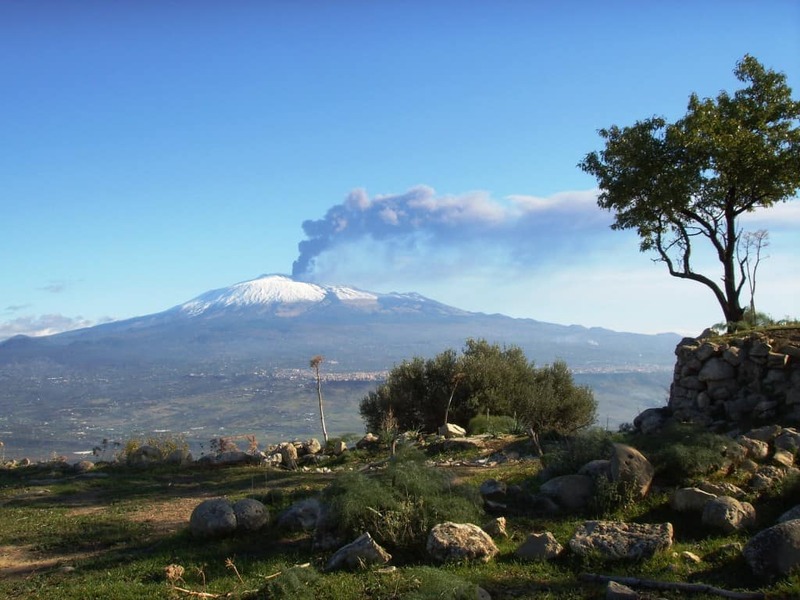 Going to Sicily and without visiting Mount Etna would be a terrible mistake. And if you’ve made such a mistake, you’ve just got to come back a second time to visit her. Amongst lush forests and stunning panoramic views, you can arrive, with a guide, at some of the more accessible craters of the volcano, taking you to a bizarre lunar landscape that seems otherworldly. 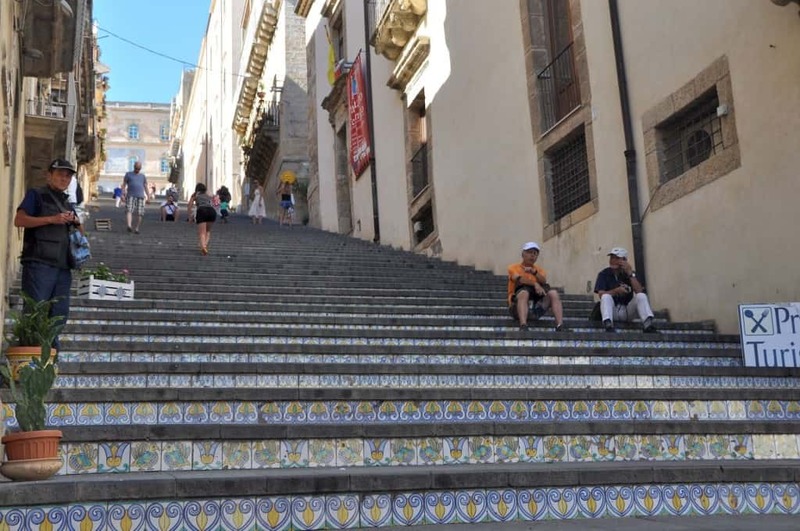 Since 2002 the historic centre of Caltagirone has been listed as a UNESCO World Heritage Site. 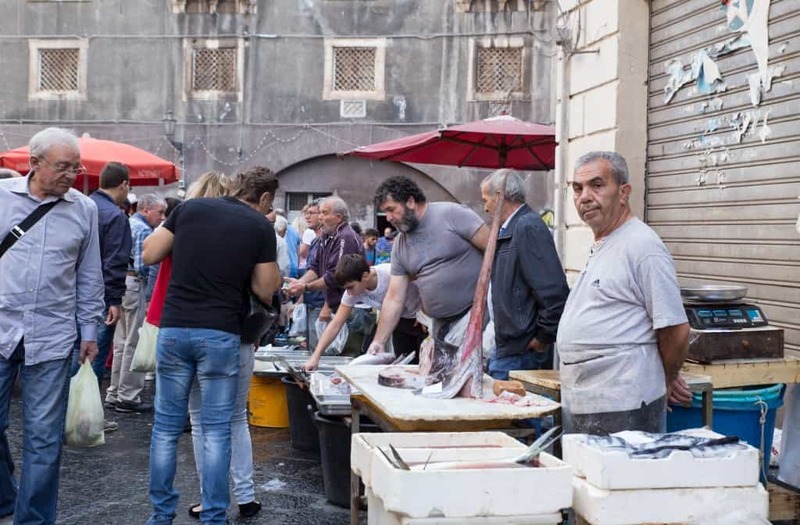 But Caltagirone is also famous for two important Sicilian traditions: the Calatine pottery, which began during Greek times and continues to this day; and Sicilian puppets, which recount in song-form the stories of storytellers. 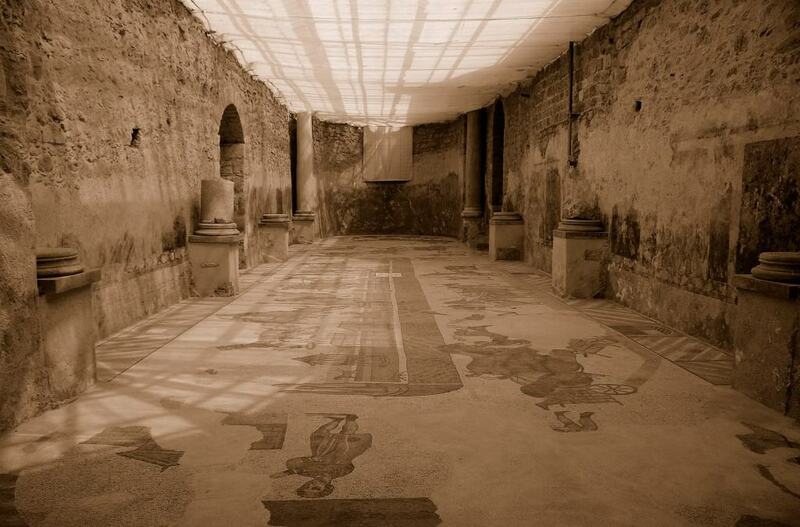 The most famous monument of Piazza Armerina is without a doubt the Roman Villa. It has 3,500 square metres of mosaics, dating back to 320 and 370 AC. There has been for many years conjecture about which emperor must have been the owner of this grand villa – in the high aristocracy of Imperial Rome such palaces were an important tradition. 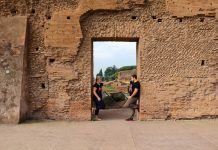 Entrance into the villa is free on the first Sunday of every month. Other days it costs 10 euros. Ortigia is beautiful. Leave behind the black lava rock of Catania – here in Syracuse bright white rock dazzles you. 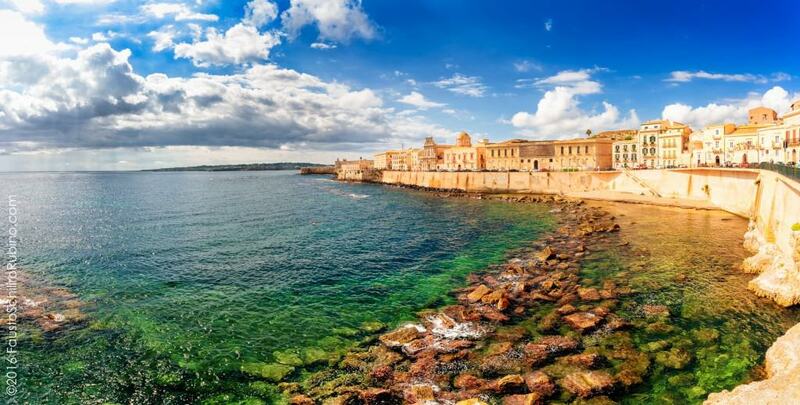 Ortigia is all about strolling through Baroque streets whilst enjoying an almond granita, standing before the cathedral and taking a photo of the sea down below. The little lakes of Cavagrande of Cassibile are one of those unexpected treasures of Sicily. Over years the Cassibile river has carved a canyon through the limestone rock, creating a huge cave “cavagrande” in which you’ll find beautiful little fresh water lakes fed by the river. 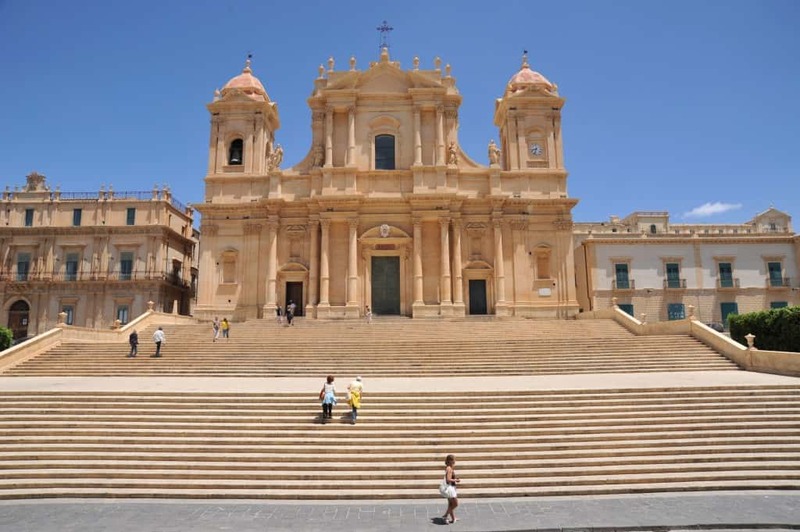 In 2002 UNESCO recognised the historical centre of Noto a World Heritage Site. And then in 2012 the Slow Food movement arrived in Noto and named the almonds of Noto a precious speciality. And then there’s the DOC wines and the DOP olive oil. Noto is a feast for the eyes, and also the tastebuds. 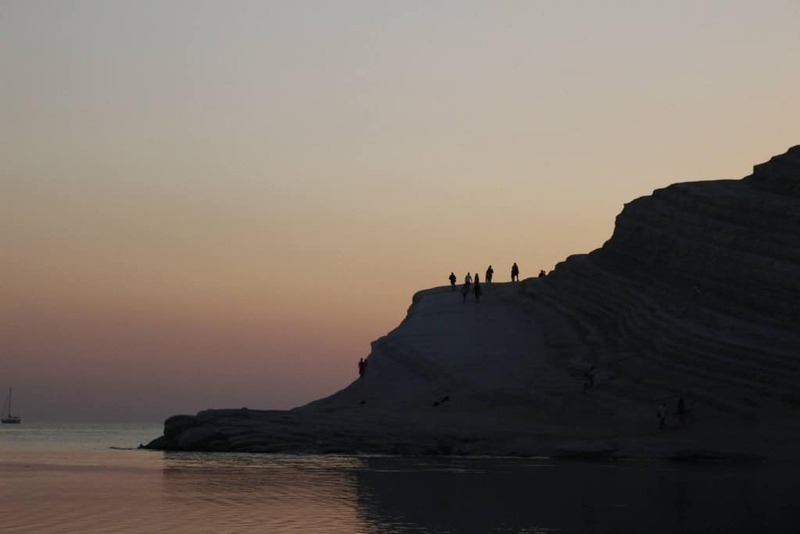 First thing’s first: the Turkish steps, also known as the “Scala dei Turchi” are not at Agrigento but at Realmonte. The same province but a different municipality. Climbing up them is easy, falling in love with them, also. The legend goes that the invading Moors landed here and climbed up, much to the amazement of local people. Today it is an incredible limestone formation at risk of erosion – go and see it while there’s still time. 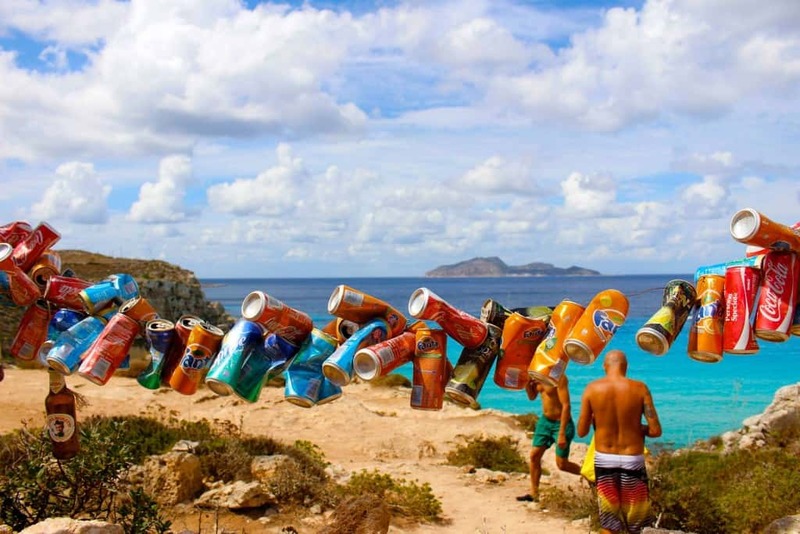 When you look from above, you will see the full 50 shades of blue at the coves of Favignana. The turquoise blue of Cala Rossa, the dark blue of Bue Marino, the azure of lido Burrone, the celestial blue of Cala Azzurra. Rent a bicycle for four days from the port and tour from one beach to the next. Mobile signal is weak, 3G even harder to find, but don’t worry you won’t need TripAdvisor to find a good place to eat. 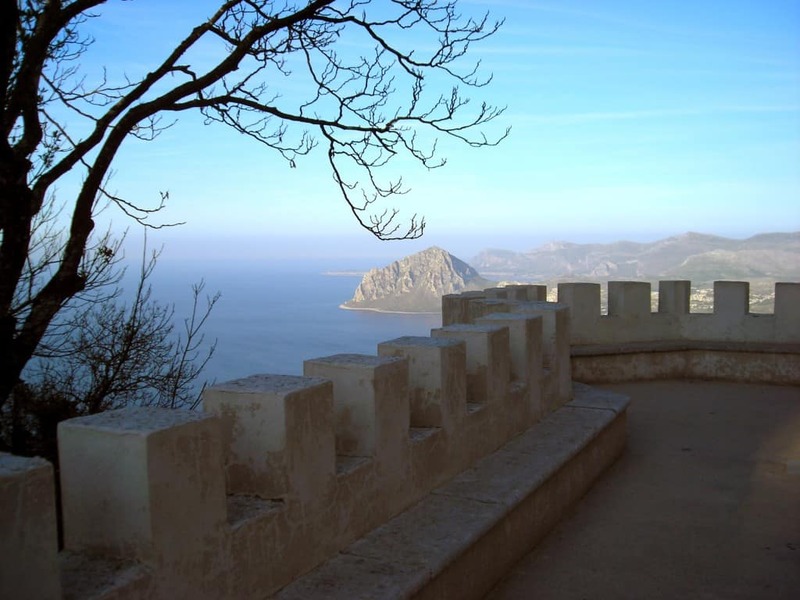 It’s a mean feat to find a photo of Erice without fog. It’s a village of just 500 inhabitants, perched up on the summit of Mount Erice, and with an almost Alpine vibe about it, it has been listed as one of the most beautiful villages in Italy. And when there is a clear sky, from Erice you can see Ustica, Pantelleria, even Tunisia. 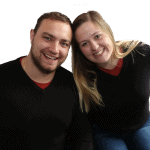 All the tours can be easily booked online on the tour agencies websites like Sicilying. Sicily is one of the best and most romantic places to visit in Italy without any doubts. It has it all: the beautiful nature, the amazing monuments, the mountains, the sea, and, on top of that, the delicious Sicilian food! Next article2 days in Bangkok Itinerary. What To Do During Short Stay in BKK?